Bindusar, the Samrat Chakravartin of all the Aryas, ruler of the Indian subcontinent, is dead. Chaos rules across the empire. The royal succession turns upon intrigue, dark coalitions, violence and death. The realm stands divided and civil war ensues. 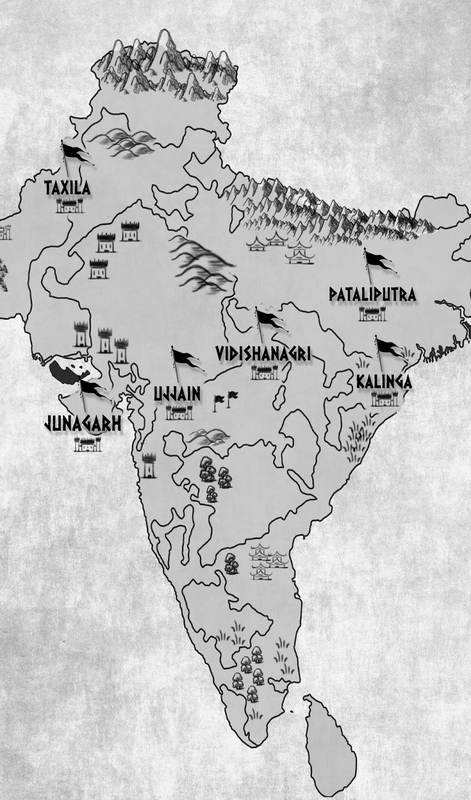 In Vidishanagri: Asoka kills his brother’s Ashwamedha stallion and marches to Patliputra with his army. The ancient Brahminical order rises in his supports, awaiting his entry into the capital. Have they made the right choice? 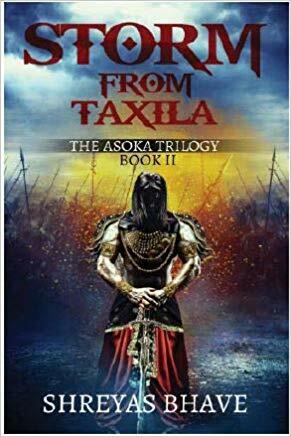 In Taxila: The rightful heir, Sushem, raises an army to meet the challenge posed by his ambitious and gifted brother, Asoka. He prepares to march to the capital and seize the throne by force. 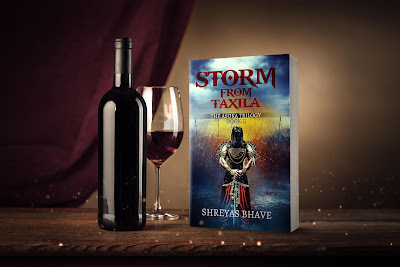 Will history repeat itself; will Sushem achieve what his grandfather Chandragupta did 50 years ago? In Junagarh: Guild Master Hardeo sets out on a private mission to acquire the great salt pans of Sindh. Will he succeed in his secret enterprise? In Vidishanagri: Radhagupta travels to fulfill the task allotted to him by the Order. Kanakdatta, the Buddhist, stands up to stop him. Will Radhagupta fail in his mission? The winds of war howl over the sub-continent, blowing every last person one way or the other. 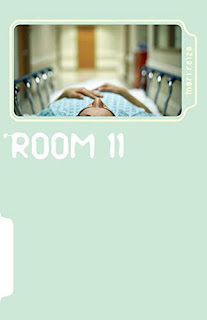 Blood will be spilled, secrets revealed and men ruined. History shall be made. 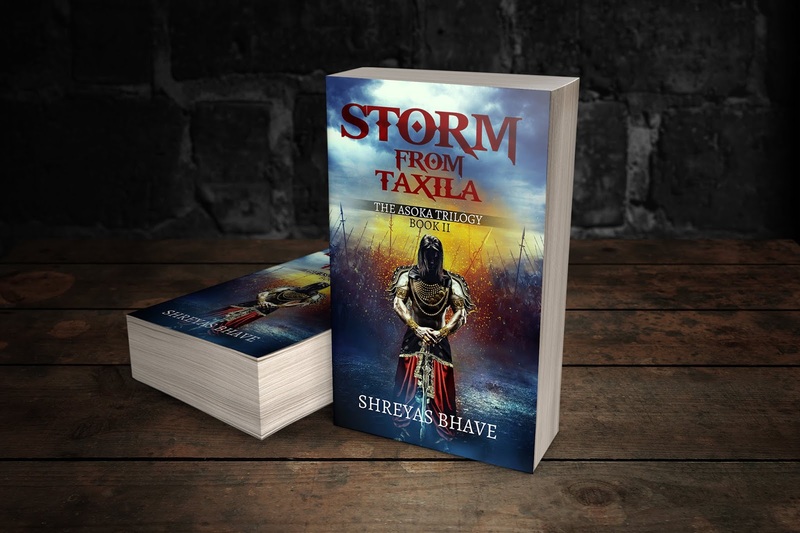 In Book II of the epic Asoka Trilogy, the storm approaches; the harbinger of death and destruction. When the dust finally settles, the great question will be answered: Who is the next Samrat of the holy Lands of the Aryas? The cloaked man stood before them, his hands folded, his back straight, looking them in the eye. The words took some moments to register in Sushem’s mind. When they did, he froze. “You claim to have met my grandfather?” he asked, surprise showing on his face. “What is your name?” Sushem asked, sitting down and resting his chin on his clasped palms. This was getting interesting. Sushem rubbed his chin thoughtfully. The role of the Order in his grandfather’s victory over the Nandas had been well documented by bards and scholars over the years. “So how did you help him take the city?” he asked. Dasharath slipped a hand into his cloak and drew out a roll of cloth. He unrolled it slowly, letting it fall to the ground. A small shining circlet of gold remained in his hand. “Do you think this is the true ring, My Lord?” the Senapati asked, inspecting it suspiciously. 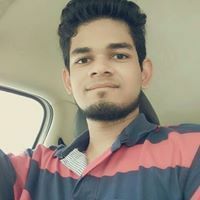 Shreyas is a 21 year old guy currently pursuing his B.Tech in Electrical Eng. from VNIT Nagpur. 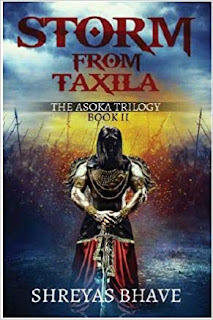 His love for history since his childhood prompted him to write his take on the story of Asoka who was one of the towering figures in the history of India, which has been taken up as ‘The Asoka Trilogy’ by Leadstart Publishing. The first part of the trilogy called ‘The Prince of Patliputra’ has been published in January 2016 and garnered positive responses. He is also presently working on several other manuscripts and completing the final year of his engineering Course.